The IT Industry has evolved from a standalone desktop and independent applications to a Complex Cloud environment. Today technology have become so advanced to reduce costs in terms of hardware, software, development and maintenance, however this has created an increased risk to SECURITY. 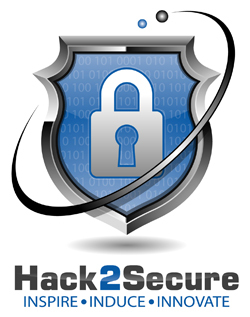 Hack2Secure excels in “Information Security” Domain and offers customized IT Security programs, including Training, Services and Solutions. Our programs are designed by industry experts and tailored as per specific needs. We help students, professionals and companies with knowledge, tools and guidance required to be at forefront of a vital and rapidly changing IT industry. Hack2Secure excels in delivering intensive, immersion security training sessions designed to master practical steps necessary for defending systems against the dangerous security threats. Our wide range of fully customizable training courses allow individual to master different aspects of Information Security as per their industry requirement and convenience.